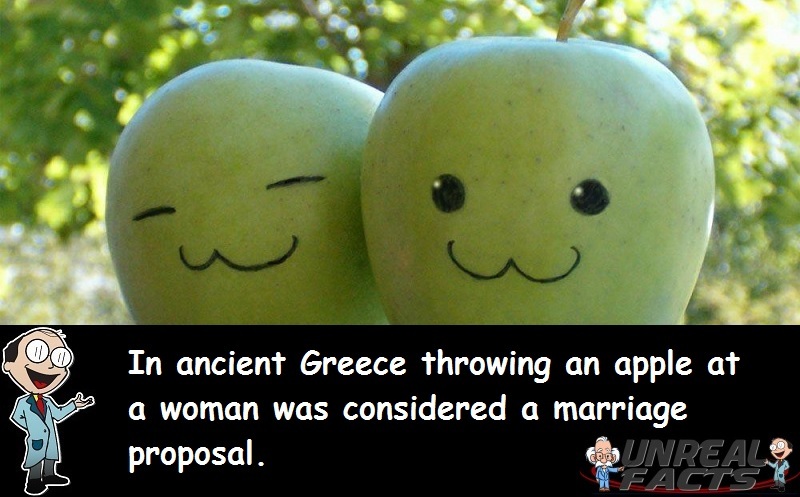 In ancient Greece throwing an apple to a woman was considered to be a marriage proposal. A bit weird, isn’t it? 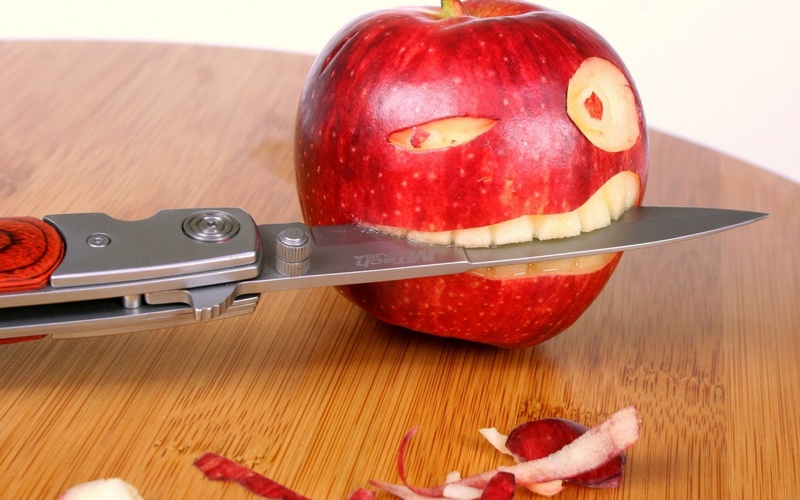 Could you imagine throwing an apple at someone today? It would be a sign of an ending relationship, the beginnings of one. Sure, it would appear to be far less romantic than revealing a massive carbon rock that is stuck onto a round piece of soft shiny metal, while consuming a glass of rotten and fermented grapes with one knee bent in a grovelling sign of submission, but you haven’t been told the full story yet. I’m sure that once you know the back story to the ancient tradition it will seem a little less weird. It’s amazing how things that were once in fashion can make a comeback. In ancient Greece throwing an apple to a woman was considered to be a marriage proposal, and today throwing an electronic device called an Apple to a love interest could be considered a marriage proposal, or assault, depending if she catches it or not. Things do have a habit of making a return. You just have to look at some clothing, styling and music trends over time to see what was used a while ago, has returned at some point in time. While the return of once great trends is rarely a carbon copy of the original, hints of the original can be seen in the current works. Just you wait, mullets will make a comeback, mark my word. This tradition is linked to mythology and Homer’s Iliad. The story begins when the goddess of discord, Eris, is less than impressed that she wasn’t invited to the wedding of Peleus and Thetis. So instead of taking to Facebook to show her displeasure, she did the next best thing she could. She threw a golden apple that had the inscription, “for the most beautiful one” on it into the wedding party. Now I don’t want to sound sexist here, and let’s not forget that I wasn’t the one that made this up. Three of the goddesses present did what you would expect them to do, they all fought over the apple. Isn’t vanity a wonderful thing? But none of them could claim the apple, and it was left to Paris of Troy to pick a winner. You know Paris of Troy. He was the guy that kind of started the whole Trojan War because he was chasing a married woman. And this is where things start to get a little messy. All of the goddesses bribed Paris, but it was Aphrodite that had the best offer. If Paris chose her for the apple, she would give him the most beautiful woman in the world, a certain Helen of Sparta, later Helen of Troy. This set in motion the invasion of Troy, the big horse thing, and a name for the back of the heel that probably went unnamed up until that point. It was since these events that it was considered to be “sacred to Aphrodite.” To throw an apple was considered to be a declaration of love, and to catch an apple that was thrown at you was the symbolic way of acknowledging love. I’m just not sure what it meant if your intended love interest failed to catch the apple, but it hit them in the face.